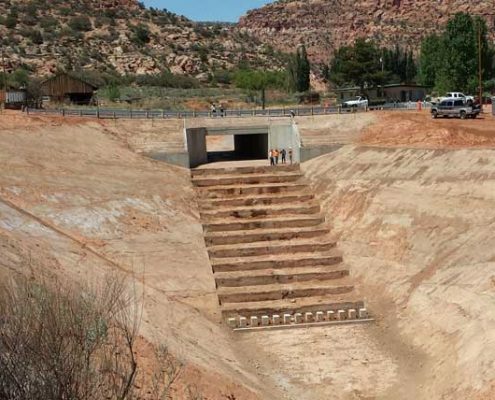 Project Description: The Moccasin Box Culvert project is located on Pipe Springs Road and Moccasin Wash in Moccasin, Arizona (Arizona Strip). The former culvert was a 10-foot x 10-foot cast-in-place reinforced concrete conveyance structure installed in the late 1930’s, and subject to frequent heavy flows during winter and spring storms. A flood event undermined the culvert’s discharge apron and a portion of the adjacent barrel section resulting in deflection cracks in the culvert. 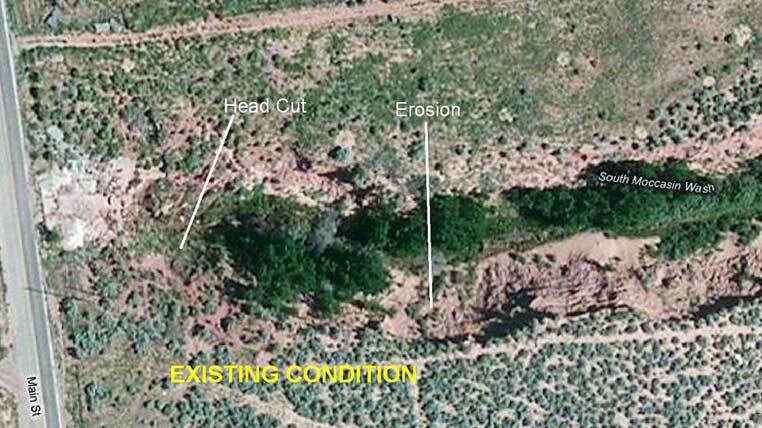 The channel had been subsequently reconditioned with emergency backfill and a soil cement application; however, observations indicated that downstream headward erosion had resumed, putting the culvert in jeopardy. 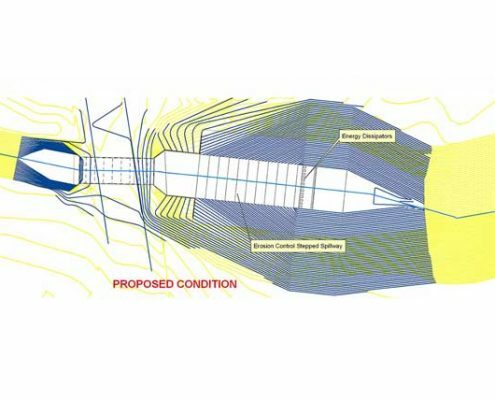 CVL was retained by the County to engineer a cost effective solution for culvert replacement as well as a solution for downstream erosion control. Relevance: Proposed design met $1 million budget. The existing culvert was undersized. 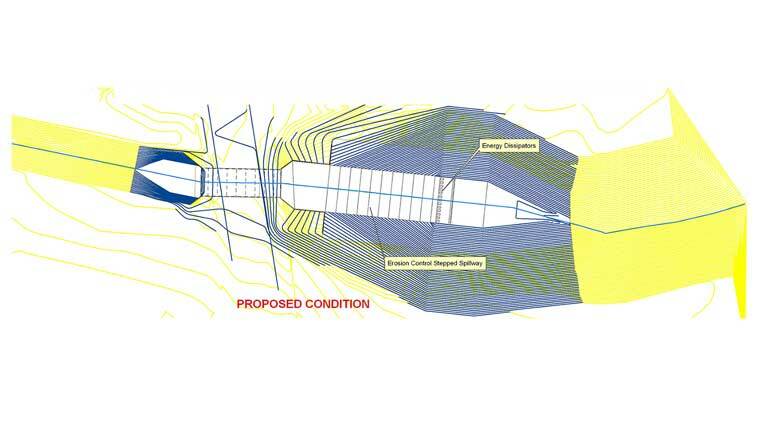 CVL performed a comprehensive value engineering analysis of various culvert materials that considered cost, lifespan, and constructability to determine the optimal solution for the culvert crossing. 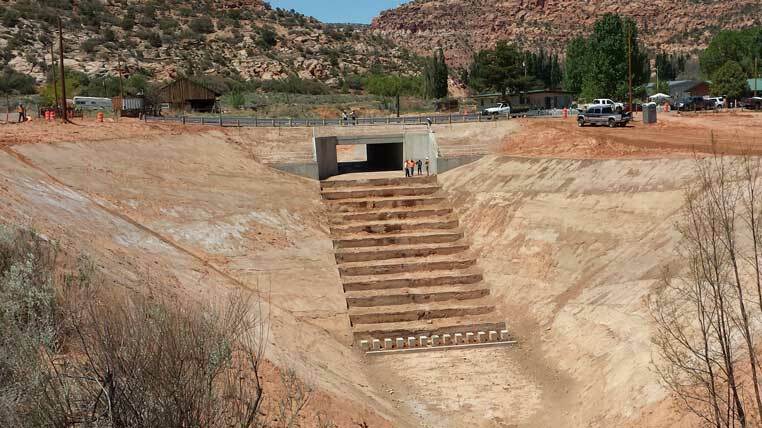 A precast 24-foot x 10-foot box culvert was recommended to allow for phased construction. 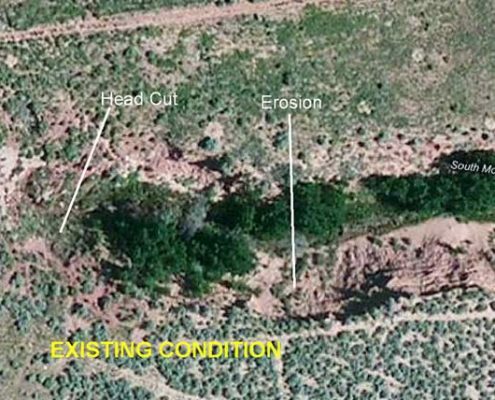 Project phasing would provide uninterrupted access to this remote area of the Arizona Strip. CVL was able to develop a solution that would meet the $1 million budget allocated for this remote area.